iPod Nano Case Leaks, Next iPod Touch to Have GPS? More evidence is appearing that supports the rumored taller iPod Nano design with a curved screen. Case designs (seen above) at Alibaba (via Engadget) depict new cases for an iPod Nano 4G. The 4th generation iPod Nano has been rumored to have a taller design with widescreen to allow for video playback. The rumor was first reported in July, with additional claims a few days ago from Kevin Rose. iDealsChina was previously responsible for leaked iPhone 3G case moldings that turned out to be accurate. 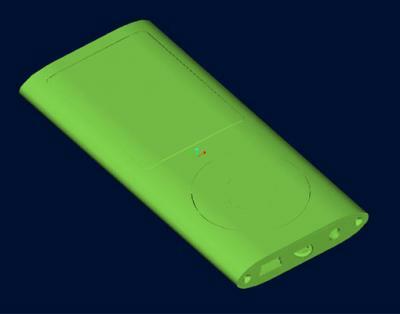 These renderings, however, omit the iPod's universal dock connector. Separately, and perhaps more interestingly, iDealsChina claims that the next generation iPod Touch will contain GPS. The iPod Touch is expected to see a revision in the next few weeks.